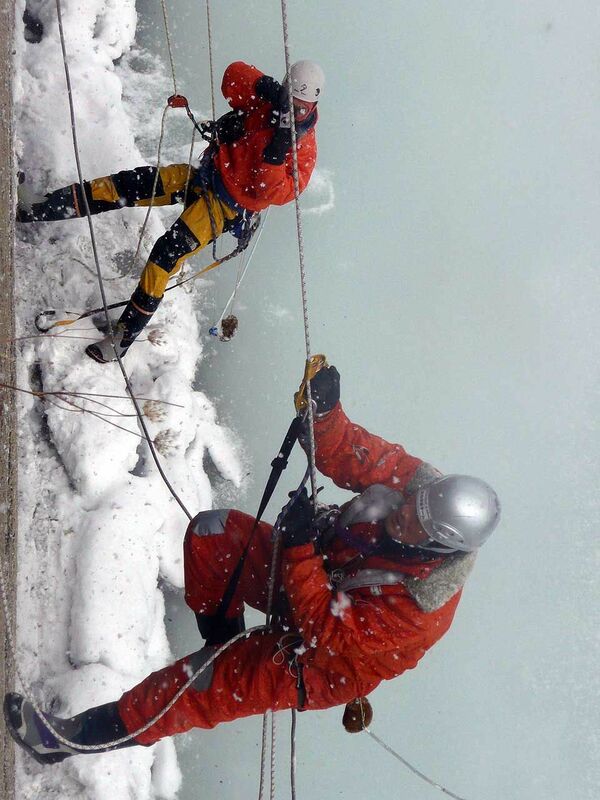 What is the rope access? The rope access technology applying the climbing techniques, it is expertise to carry out the work to the hanging rope is fixed to the air. In still unfamiliar word in Japan, but it is rare to actually eye for skilled in the art less with professional technology, it is aerial of technology that is popular in Europe and the United States. 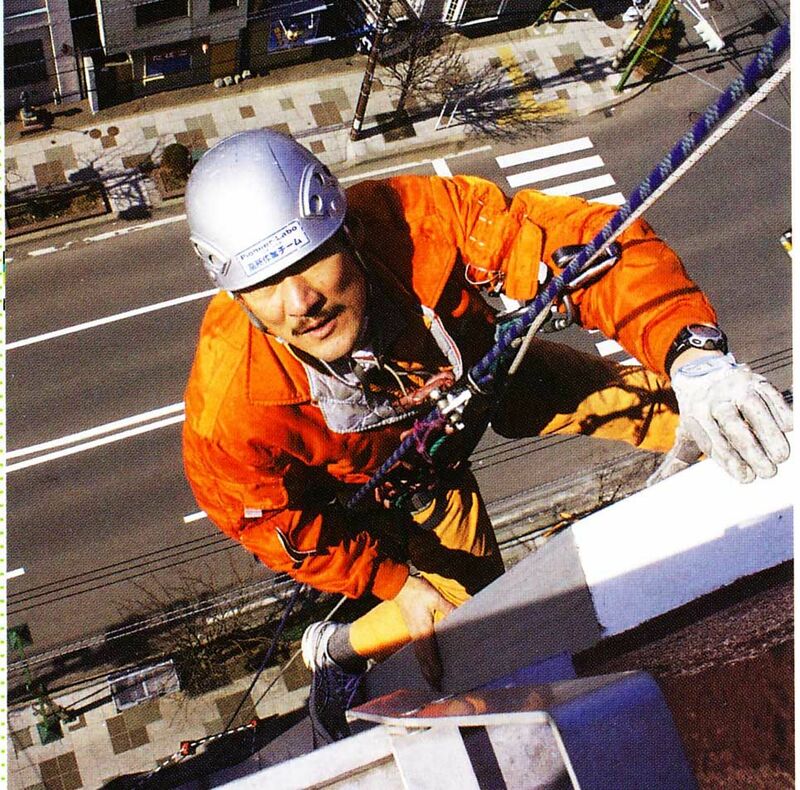 Rope access many benefits in terms of cost, it is a means of high mobility aerial but, In implementing, requires know-how of advanced technology and safety measures. 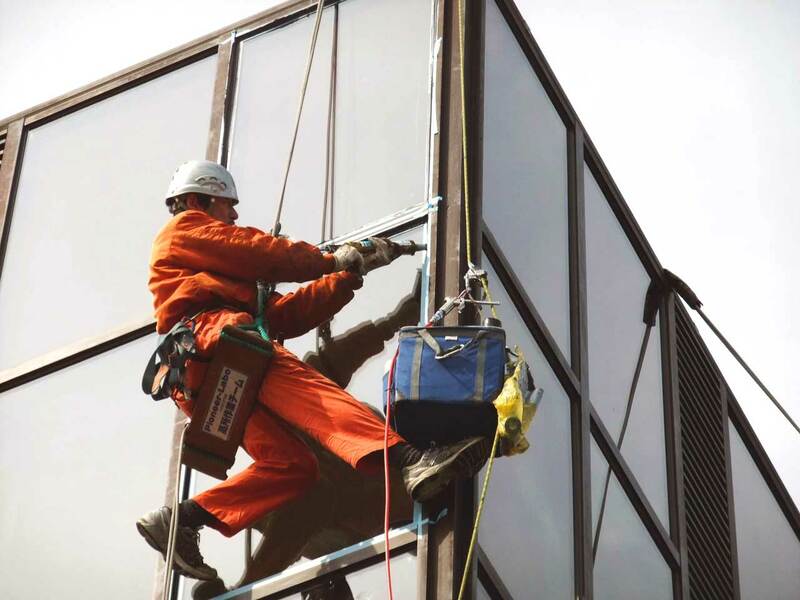 Equipment of rope access technology is similar to the look of rock climbing equipment, but those that have been developed to more secure and reliable rope access only. In the estimate, such as outer wall repair, actual is higher scaffold erection cost than construction amount, not uncommon that. The rope access technology, and scaffolding erection work to push up labor costs, due to the unnecessary arrange Aerial, you can significantly cut the cost. To do to secure an aerial work, you need both of freely move technology in technology and high altitude of business itself. Our staff is a high place of specialists with a rock climbing technology. As in the case of performing the scaffolding erection work, because there is no be chased by scaffolding dismantling schedule, you can flexibly respond to the construction period of the extension and additional construction. And built a scaffolding outside the entrance and windows, it is gone covered with curing sheet, it will have a significant obstacle to the lives of residents. In the case of the store, it does not adversely impact in sales. Burden of because the rope swing work only to only rope-consuming work place to residents rarely. In construction site, theft incident that enters through the window using the scaffolding has frequently. 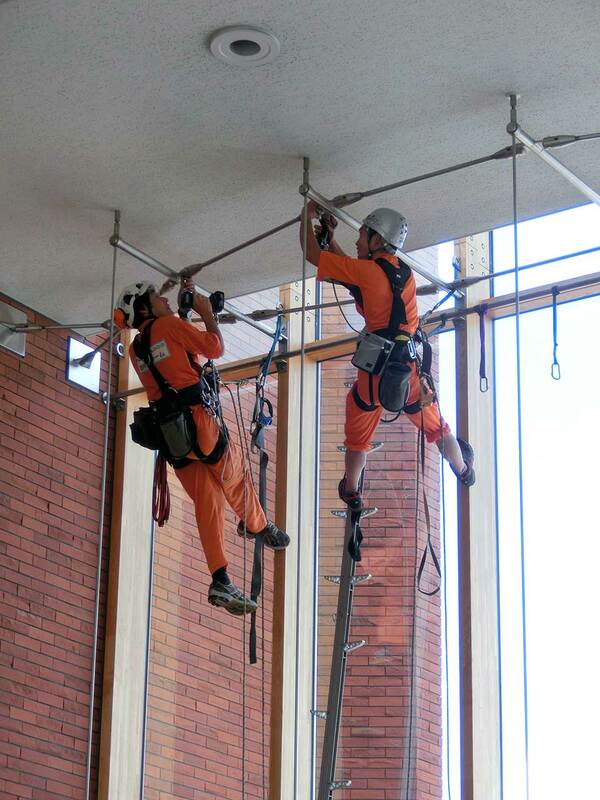 The rope access work that does not install the scaffolding, such worry is useless. Because of their scaffolding erection unnecessary, can be mounted aerial at a reasonable cost, even if you want to study and work only part of the small-scale construction and outer wall.